This came after Mnangagwa met representatives of 66 civil society organisations from the region who operate under the banner of Matabeleland Collective - in a robust meeting which participants said could enrich the relationship between central government and community leaders from here. First to speak and to set the tone for yesterday's engagement was the vocal Matabeleland Collective spokesperson, Jenni Williams, who told Mnangagwa that people from the region wanted to have an open and honest discussion about development in their part of the country, as well as the post-independence killings. "Realising that we could not continue to cry tears of destitution and despondency, we decided instead to raise our heads and put them together to develop a new approach to development for the betterment of our region. "However, we grappled with identity issues, as ... we share and continue to feel the pain of feeling excluded due to our spoken language, tribe, class or geographic location or colour. "Despite the pain that is still felt and which is shared by the people of this region, we told each other that it is time to engage the government of Zimbabwe as we feel excluded," Williams said. "We also want to talk freely about Gukurahundi, as we need to talk about such issues," she added. 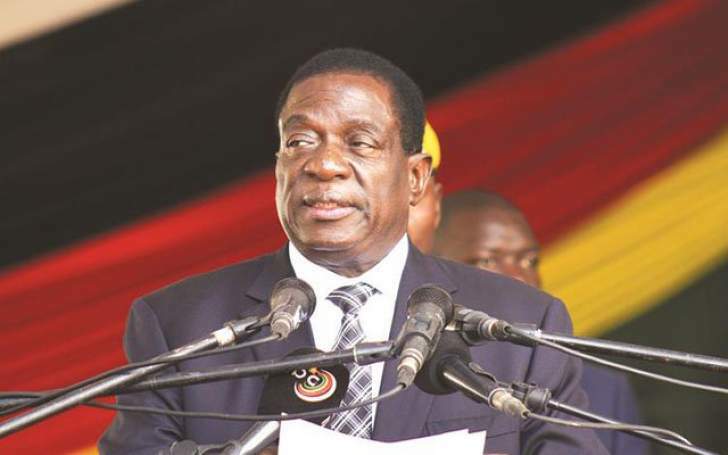 In response, Mnangagwa said both the issue of Gukurahundi and compensatory development should be discussed openly on radio, television and other fora - adding that he had come to Bulawayo with the genuine intention to listen to the views of civic society in the region. "I didn't prepare a speech. I came with an open mind to listen and I am satisfied that I made the correct decision because non-interaction creates fear and suspicion, where there ought to be no fear and suspicion. "Now I know that civil society here has the country at heart ... and not to make things worse but better. We had our heads in the sand, but now our heads are out," he said. One of the meeting's participants, Dumisani Nkomo, also told journalists later that Mnangagwa had "freed the space" for the thorny issue of Gukurahundi to be discussed openly. "We had an open discussion around the issue of Gukurahundi. We, for example, raised concern that talk around Gukurahundi has been criminalised. "He (Mnangagwa) said people should be able to talk about Gukurahundi openly, and also indicated that there is a possibility of extending the lifespan of the NPRC (National Peace and Reconciliation Commission)," Nkomo said. Mnangagwa, who served as ousted former president Robert Mugabe's right-hand man for nearly 54 years, last year operationalised the NPRC as part of his efforts to address unresolved national issues such as Gukurahundi. "What can we do about the past? We have put up a commission (NPRC) to deal with that issue (Gukurahundi), that should not stop us from having a better future where all the communities should be united, should co-operate, should love each other, should work together. "This is the message which we have. We are more worried now about how in the future we should have a united Zimbabwe. "Let me assure you that just recently I had a meeting with chiefs from Matabeleland, discussing with them, because I feel there is that bad patch in our history and we would want to correct it. "We would want to say whatever wrong was committed we must say the government of the day must apologise," Mnangagwa said then. Meanwhile, prominent activist and journalist, Zenzele Ndebele was yesterday arrested together with his photographer Sautsani Ali - just outside the Bulawayo State House, after he was allegedly found with two used teargas canisters. Ndebele and his crew were later released and allowed to attend the meeting, but only after he was slapped several times as the menacing security details questioned him about the used teargas canisters.